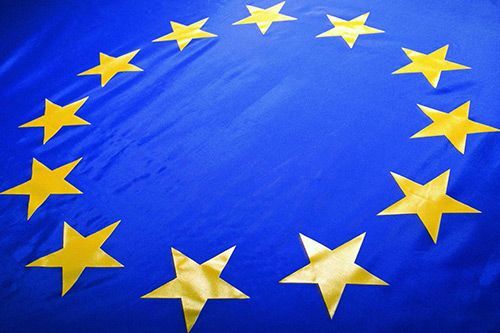 On 29th July, The City Law School (TCLS) will explore some of the legal and policy Issues emerging from the European Union (EU) response to the migration crisis unfolding in North Africa and Europe. The City Law School (TCLS) will host a panel discussion titled, “The Migration Crisis in the Mediterranean: Legal and Policy Issues Arising from the EU Response”, on 29th July at 6pm in the Music Performance Space of the College Building, City University London, St John Street, London EC1V 4PB. The event is being held under the joint auspices of the Institute for the Study of European Laws, the International Law and Affairs Group and the Jean Monnet Chair in European Union Law. In order to tackle the problem of migrants travelling to Europe by boat and those responsible for smuggling them across the Mediterranean Sea, the EU has considered taking a number of extraordinary measures. Some of these measures involve the EU assuming an unprecedented and direct enforcement role. Examples of this include: attacking boats suspected of being used for smuggling in North African waters; deploying intelligence and security services in North Africa to target smugglers; detaining migrants in enhanced security zones in Southern Europe; using accelerated procedures and extended detention in prisons to process and expel migrants; forcibly fingerprinting new arrivals; and authorising EU border guards to carry out expulsions themselves. This panel discussion will consider the legal issues raised by some of the proposed policies in terms of their compliance with EU law, human rights law and international law on the use of force. It will be of interest to scholars in the fields of EU, asylum and international law, as well as practitioners and policy-makers. The panel will be chaired by City’s Professor Sir Alan Dashwood. Other panellists will be Professor Elspeth Guild, Jean Monnet Professor, Queen Mary College, University of London and Radboud University, Nijmegen; Professor Archilles Skordas, Professor of Public International Law, University of Bristol, Visiting Research Fellow, Max Planck Institute for Comparative Public Law and International Law, Heidelberg; Professor Daniel Wilsher (TCLS) and Dr Itamar Mann, National Security Law Fellow, Center on National Security and the Law at Georgetown University’s Georgetown Law Center, Washington DC. Professor Panos Koutrakos, Jean Monnet Professor of EU Law at City, will welcome panellists and audience to the event. International Law is the collection of rules generally regarded and accepted as binding in relations between states and between nations. It serves as a framework for the practice of stable and organized international relations.